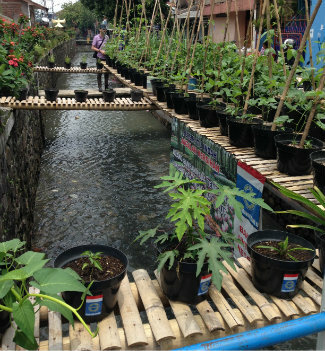 Hivos and the International Institute for Environment and Development (IIED) are looking for a partner to lead an exciting new social change process for a fairer, greener local food system in Bandung, Indonesia. Please see the documents box to the right to download this advertisement in both BAHASA and ENGLISH. The ‘Food Change Lab’ process uses a combination of research, creative perspectives and community inputs to generate innovative, citizen-led solutions to the problems faced by low-income consumers in accessing affordable, safe, nutritious, diverse and sustainable food. The Lab will facilitate ‘radical thinking and disruptive solutions’ by citizens, artists, activists, policymakers, researchers, community groups, professional organisations and cultural leaders. Solutions may relate to public policy, business models, behaviour change or framings of cultural values, with the ultimate aim of “creating space for the food systems of the poor in Bandung, Indonesia.” The Bandung Food Change Lab will also form part of a learning network with our Food Change Labs in Uganda and Zambia. Funding will be made available on an activity basis.